One point slings enable you to carry your rifle close to the body, while still allowing for quick action when needed. 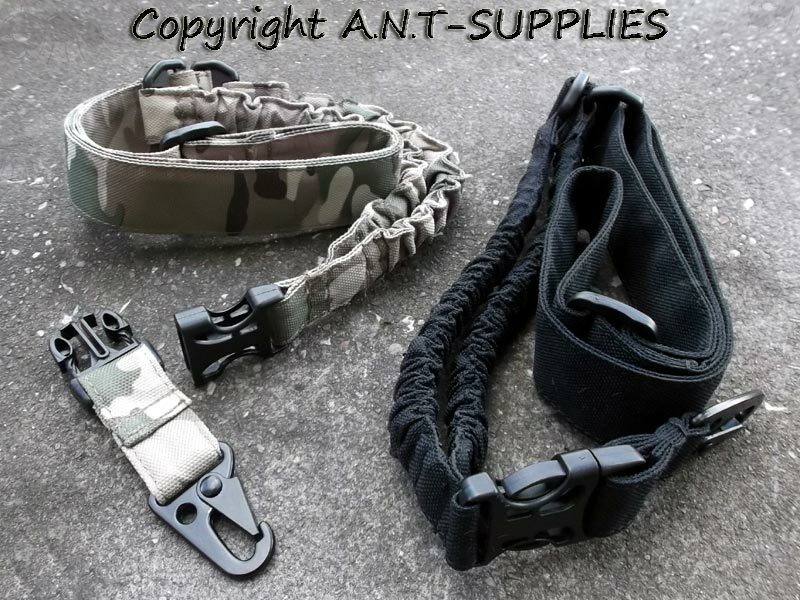 Also available ~ Two point rifle slings page. 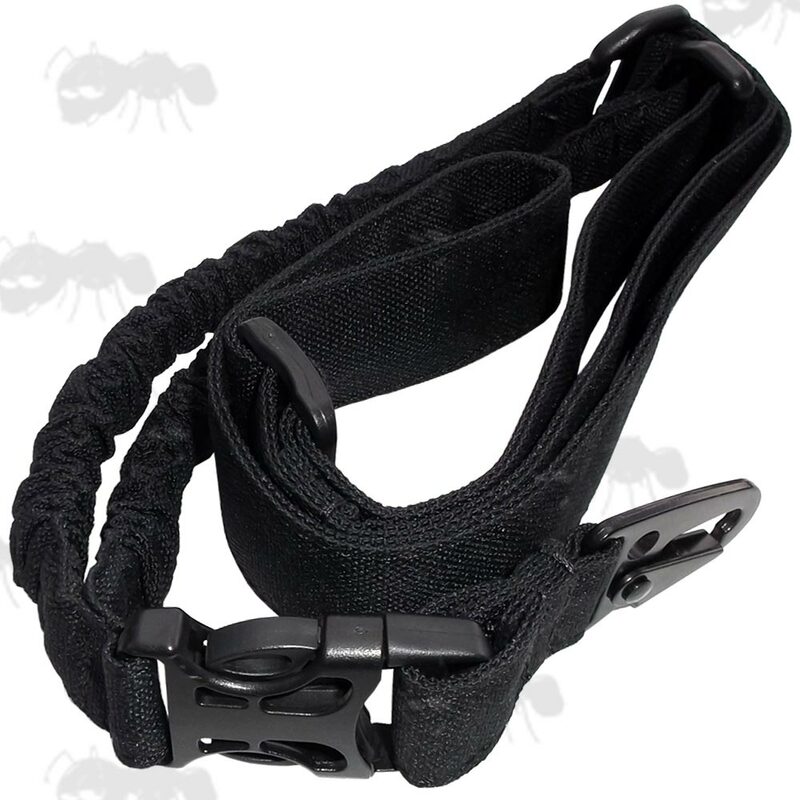 Adjustable length sling with quick-release buckle. Made from heavy-duty 38mm wide nylon canvas. Twin section bungee, providing 14cm of flex. 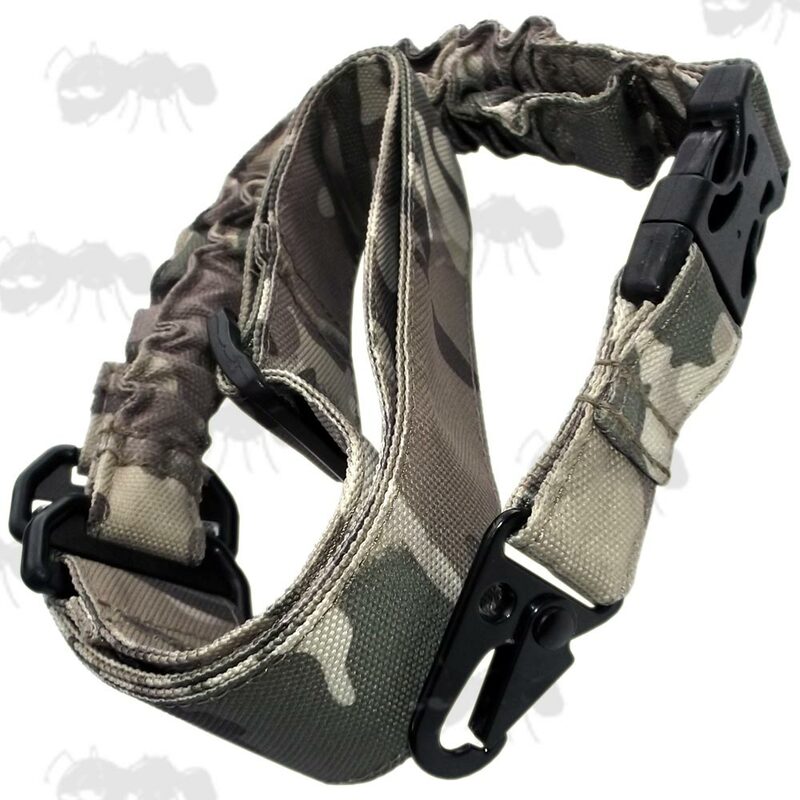 With quick side release buckle that allows the sling to stay in place and the rifle to be removed. Flat metal clip for attaching to your rifle. Length can adjust from 36 to 51 inch circumference (92cm to 129cm). (like on our 10mm socket swivel slings) but we do not stock them separately at present.